Bayer Leverkusen striker Javier Hernandez wants another crack at the Premier League by joining Arsenal, according to reports from the Daily Star. Hernandez was unceremoniously dumped by Manchester United manager Louis van Gaal to Bayer Leverkusen during the summer for just £7million but the Dutchman will surely have been left ruing the decision as the Mexican star has managed a stunning 19 goals in 21 appearances since his move to Germany. 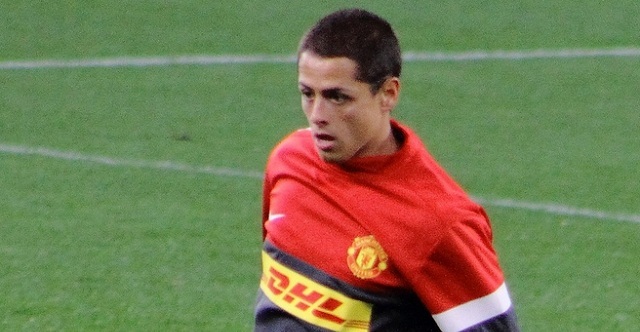 With Hernandez showing such lethal form in front of goal, it has been no surprise to see the Mexican attracting the interest from a host of clubs and Premier League giants Arsenal were said to be keen on signing the 27-year old. Now according to reports from the Daily Star, it has been revealed that Arsenal have been handed a boost in their pursuit for Hernandez as the striker is open to the idea of joining the North London based outfit as he wants another crack at English football.